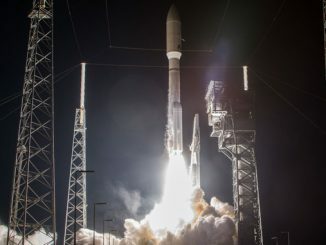 The United Launch Alliance Atlas 5 vehicle, designated AV-057, will lift off and begin a vertical rise away from Complex 41 at Cape Canaveral Air Force Station, Florida. 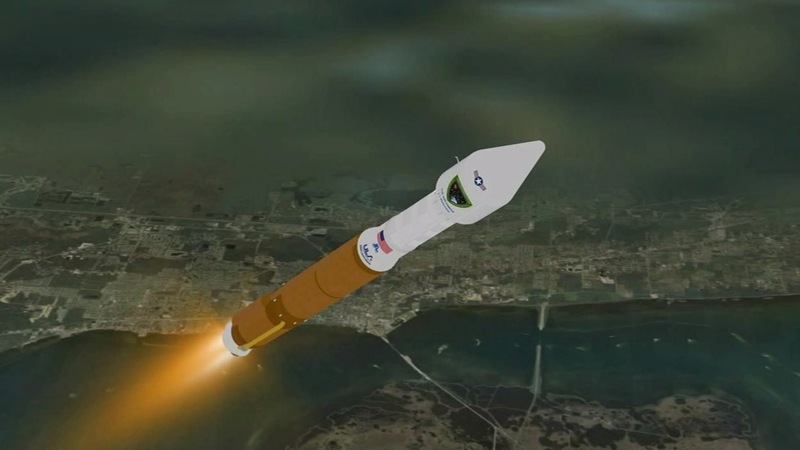 The Atlas rocket achieves Mach 1 some 78 seconds into the flight, then passes through the region of maximum dynamic pressure at 90 seconds. 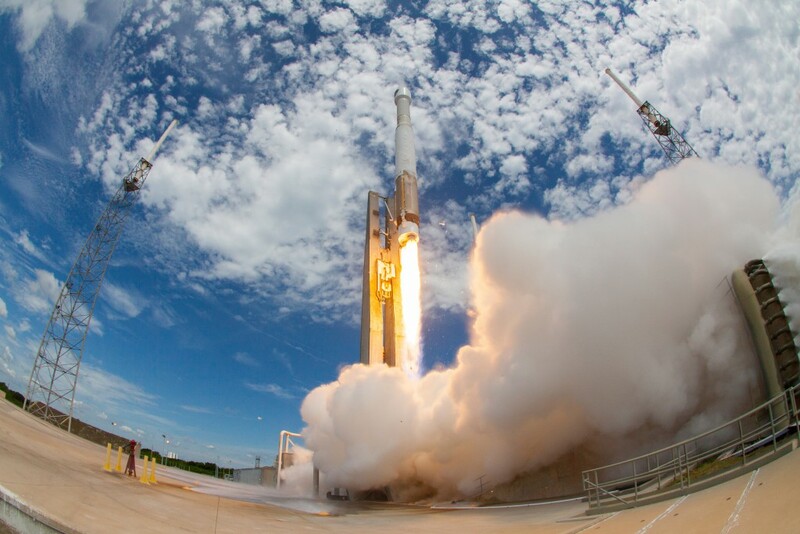 The RD-180 main engine completes its firing after consuming the load of RP-1 kerosene fuel and liquid oxygen supply in the Atlas first stage. The Common Core Booster first stage of the Atlas 5 rocket separates from the Centaur upper stage. 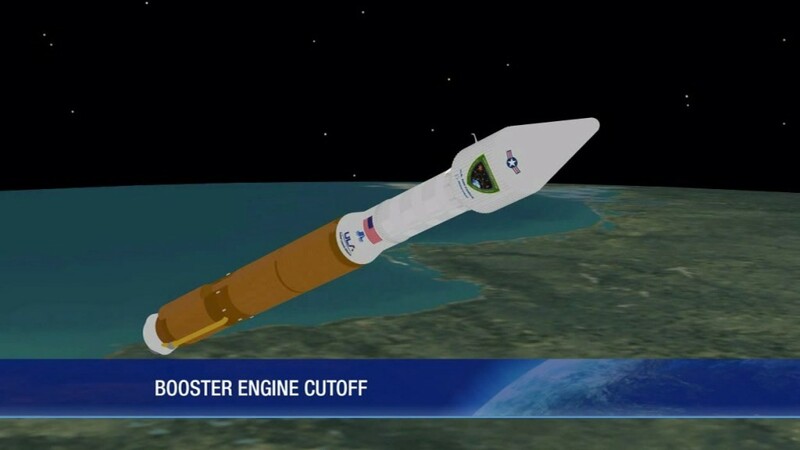 Over the next few seconds, the Centaur engine liquid hydrogen and liquid oxygen systems are readied for ignition. 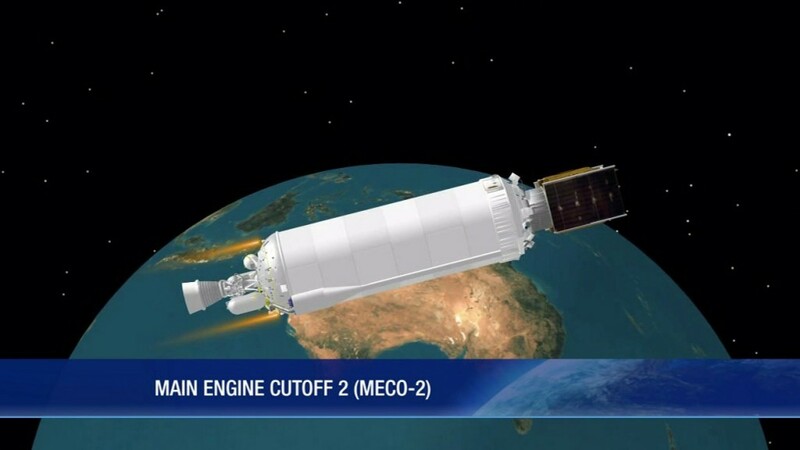 The Centaur RL10 engine ignites for the longer of the two upper stage firings. 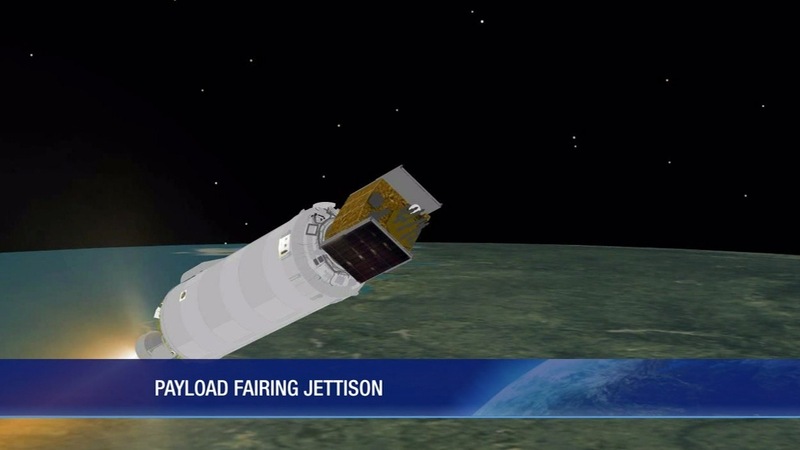 This burn will inject the Centaur stage and GPS 2F-12 spacecraft into a transfer orbit. 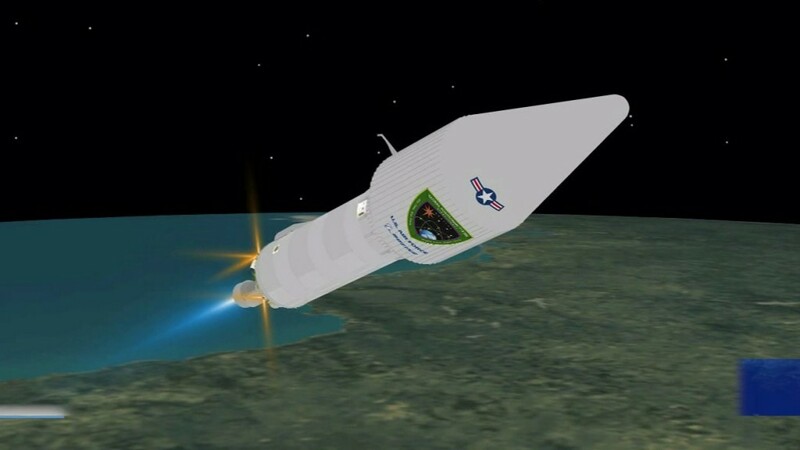 The two-piece, 14-foot-diameter payload fairing that protected the GPS 2F-12 craft during the atmospheric ascent is separated to reveal the satellite to space. 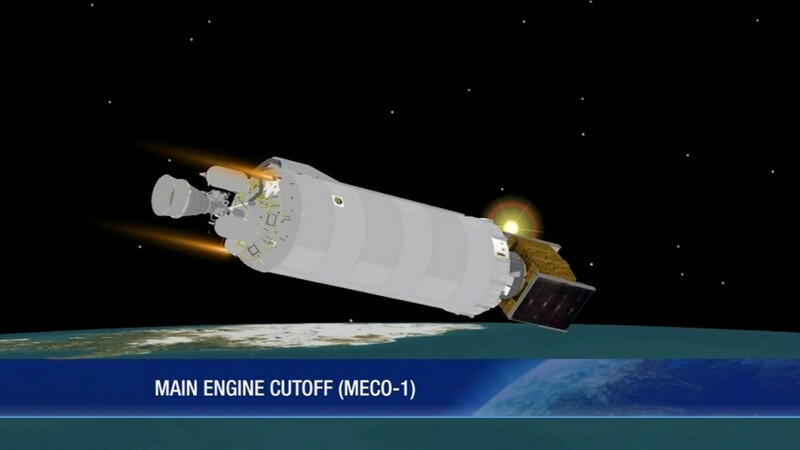 The Centaur engine shuts down after arriving in a planned elliptical transfer orbit of 11,000 by 90 nautical miles. 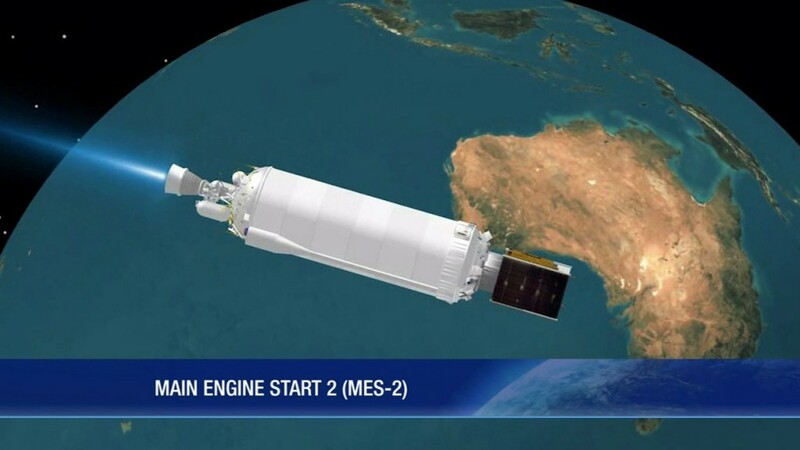 The vehicle enters a three-hour coast period before arriving at the required location in space for the second burn. The Centaur re-ignites to circularize the orbit and enter the Global Positioning System satellite constellation in delivery of GPS 2F-12. 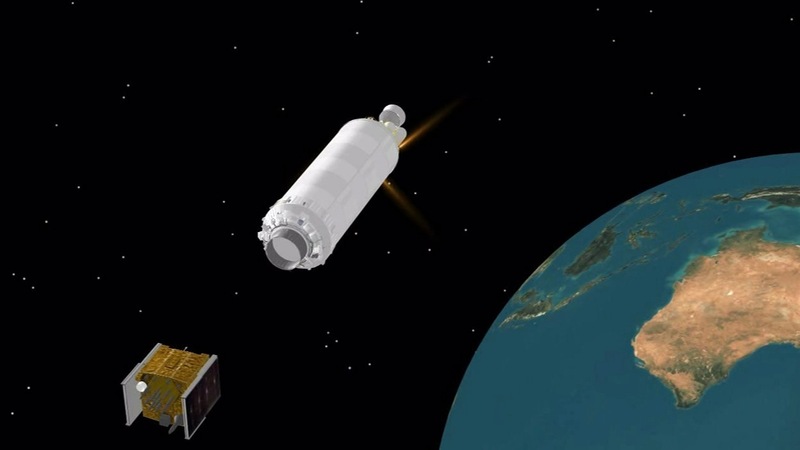 At the conclusion of its second firing, the Centaur will have delivered the GPS spacecraft into the targeted circular orbit of 11,047 nautical miles, inclined 55 degrees to the equator. 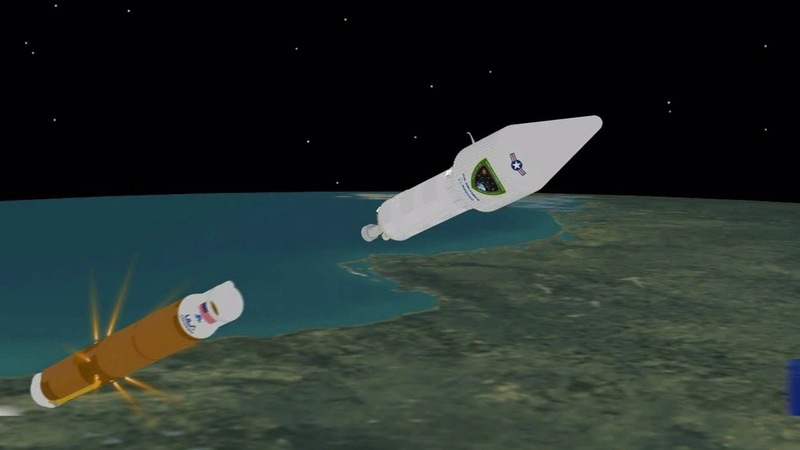 The Global Positioning System 2F-12 navigation satellite is released into orbit from the Centaur upper stage to complete the AV-057 launch.